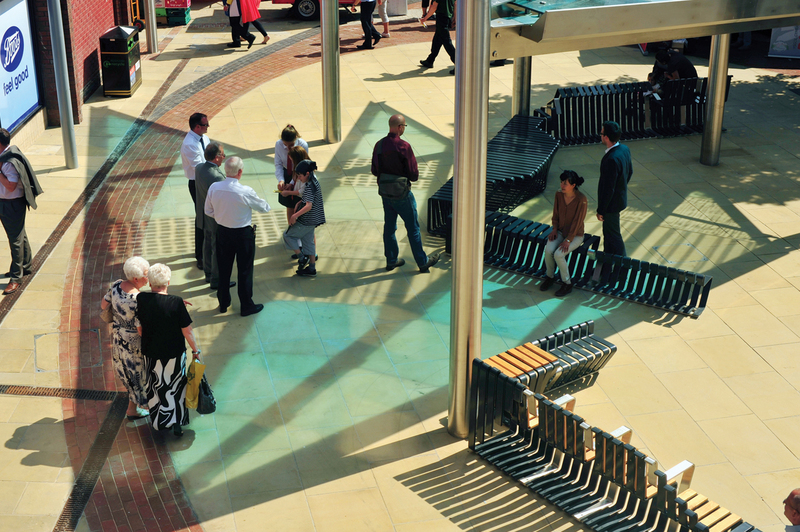 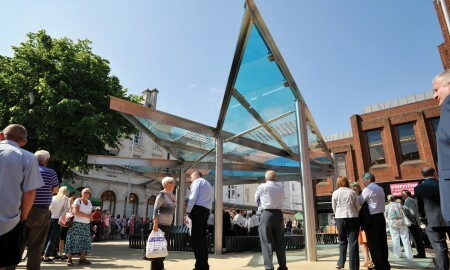 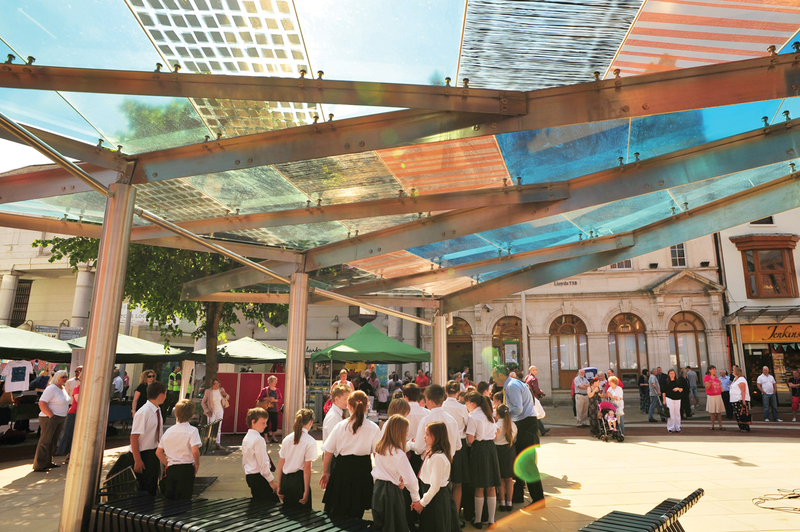 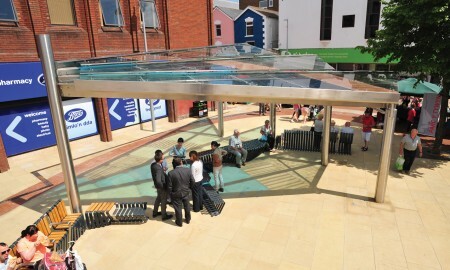 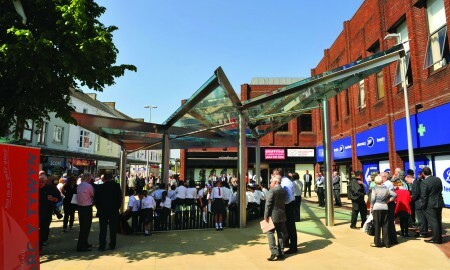 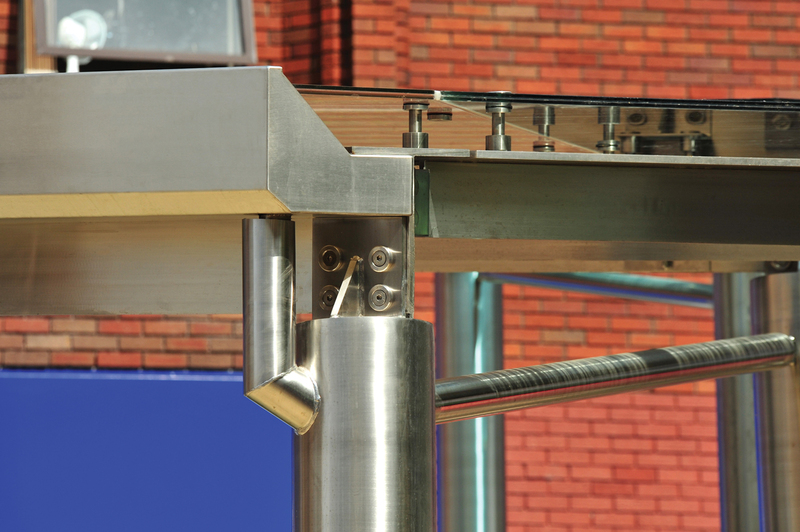 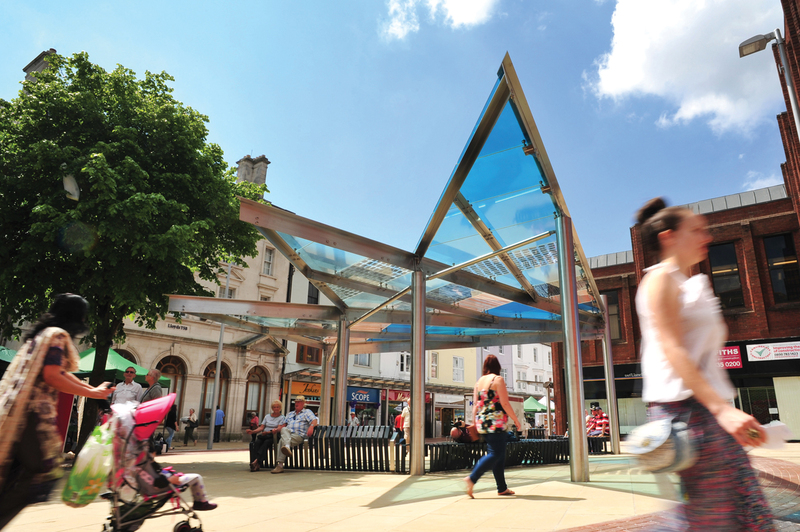 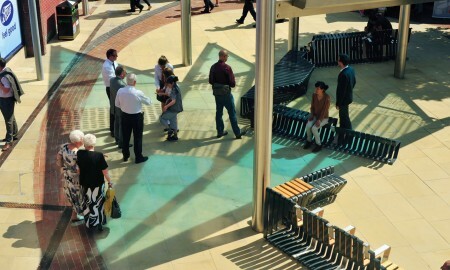 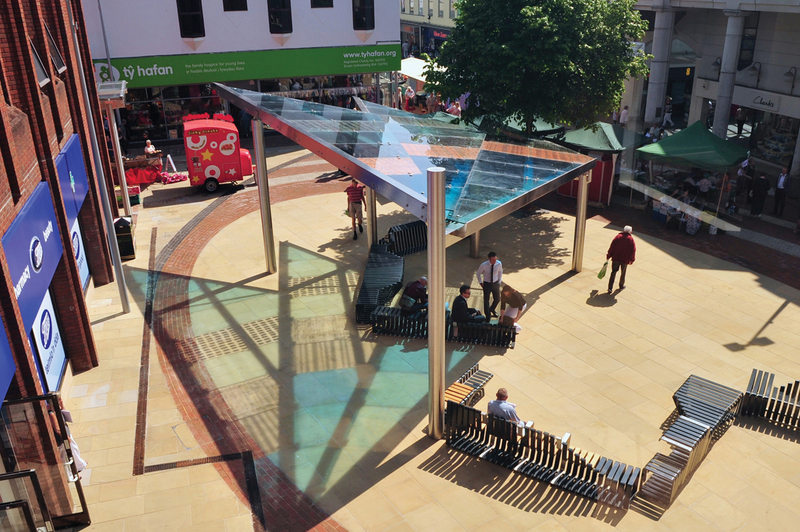 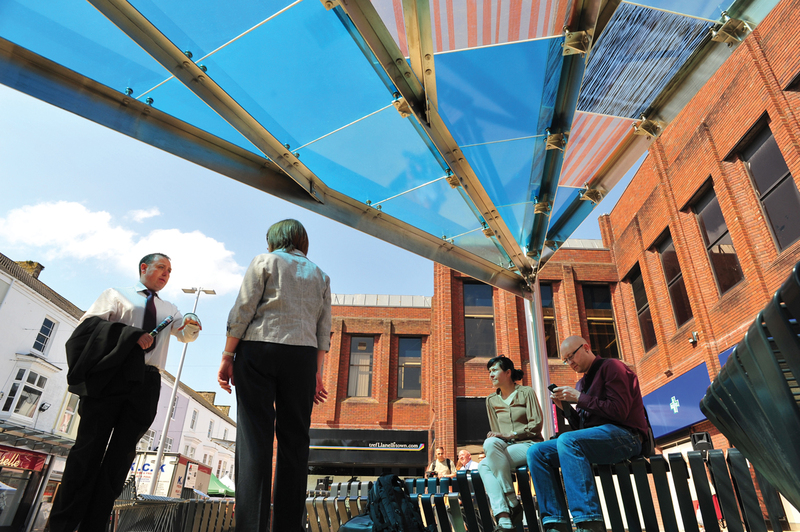 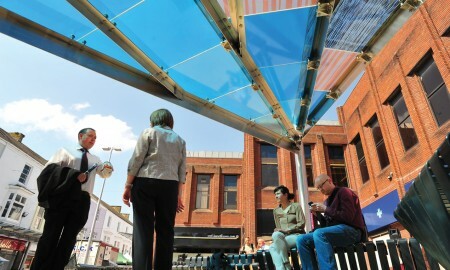 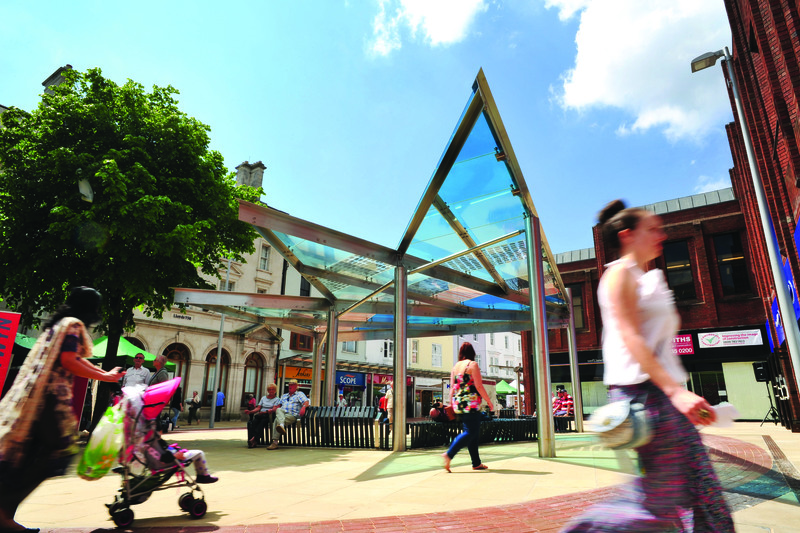 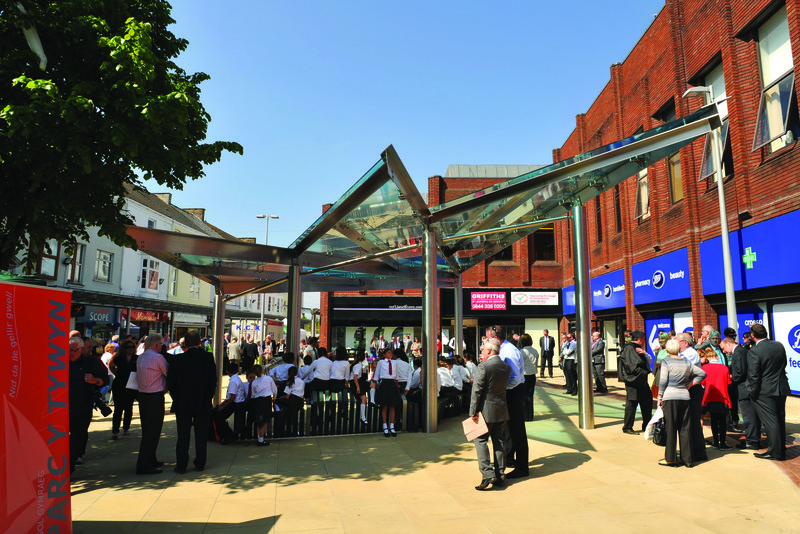 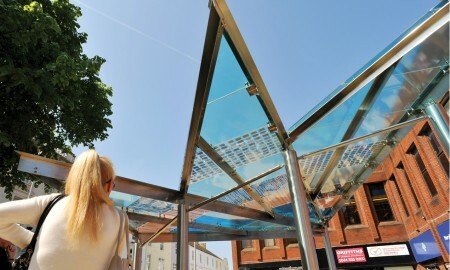 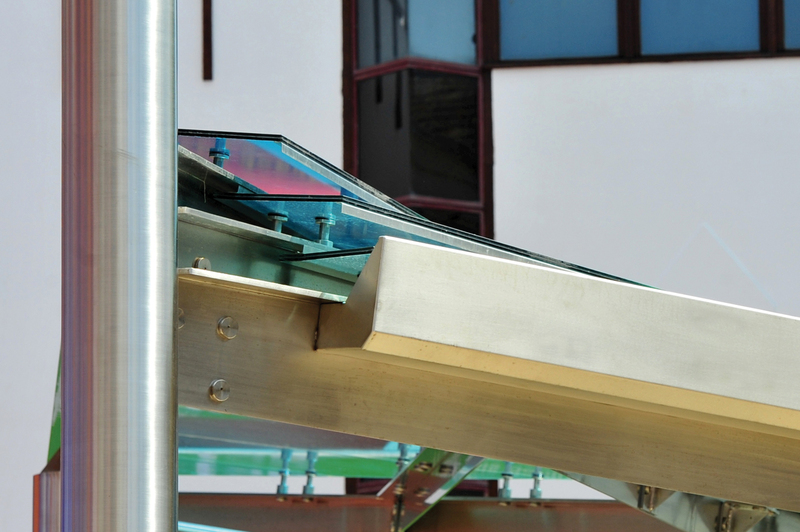 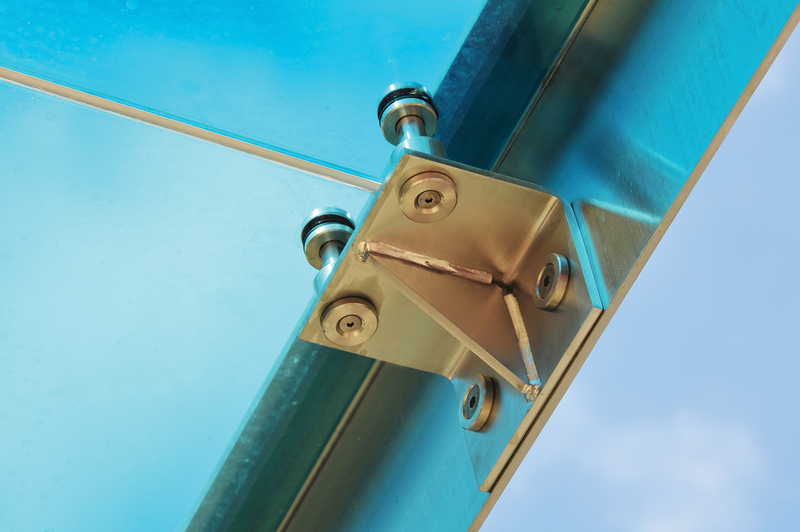 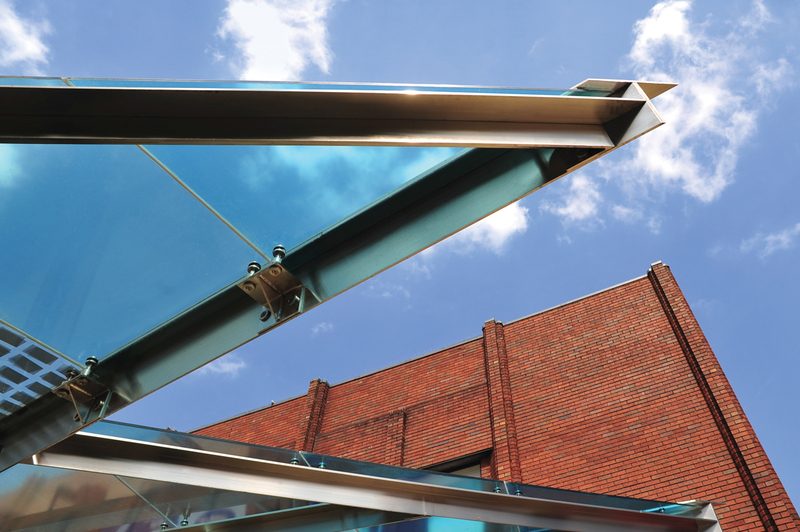 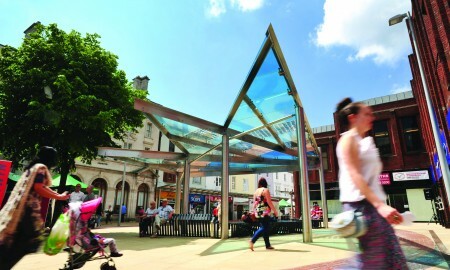 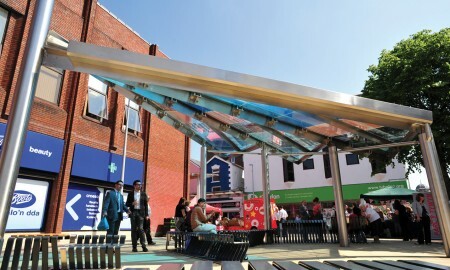 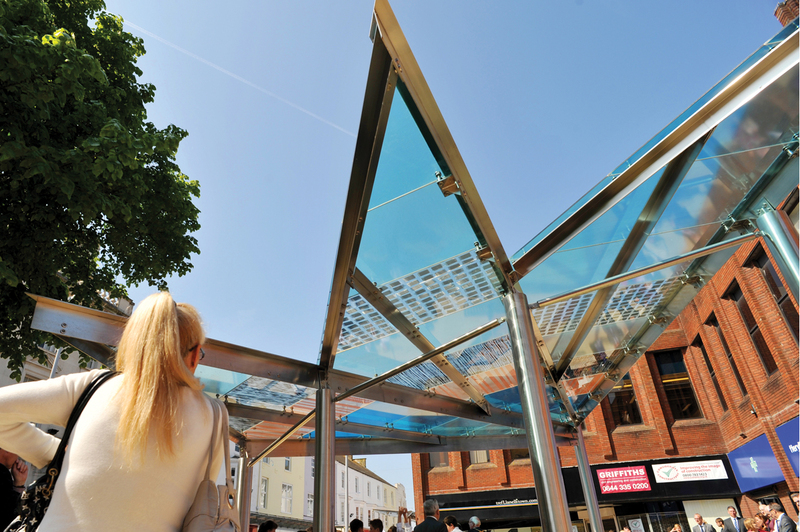 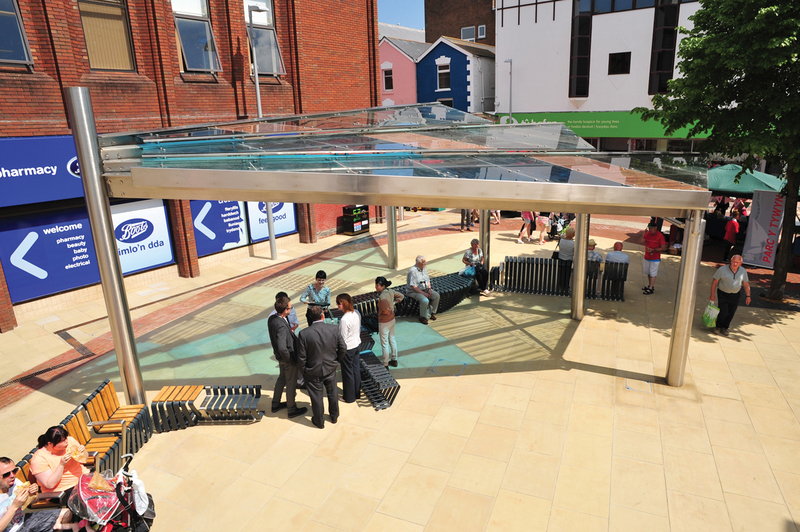 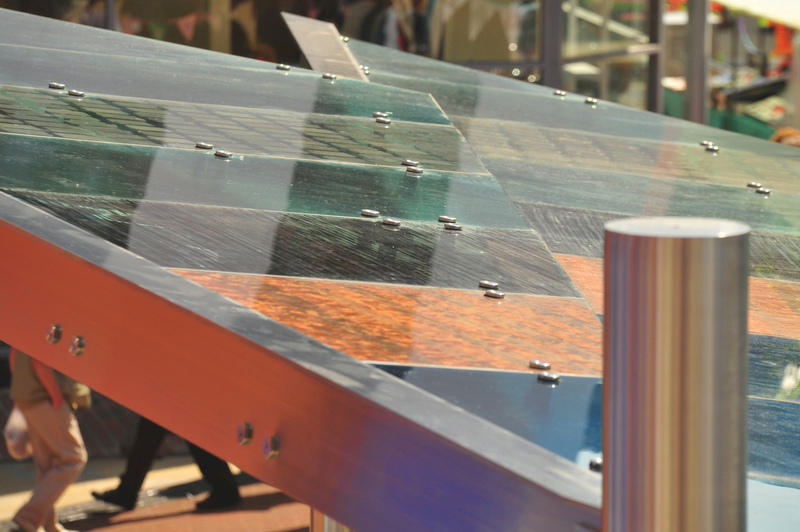 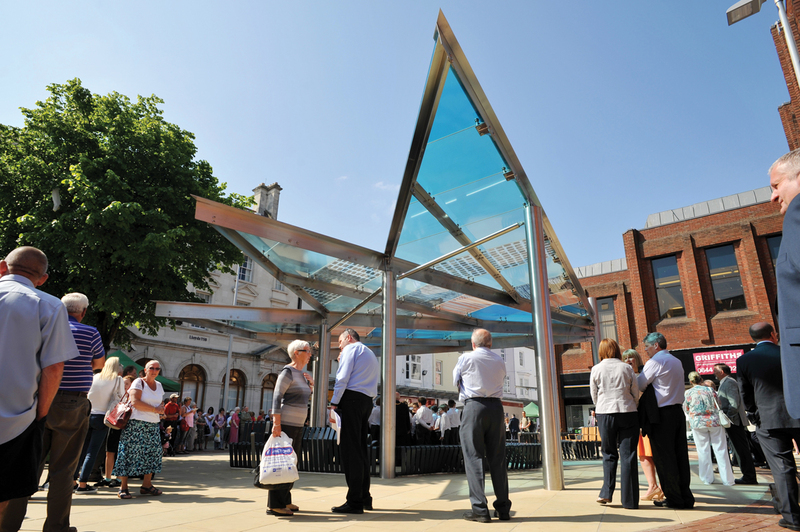 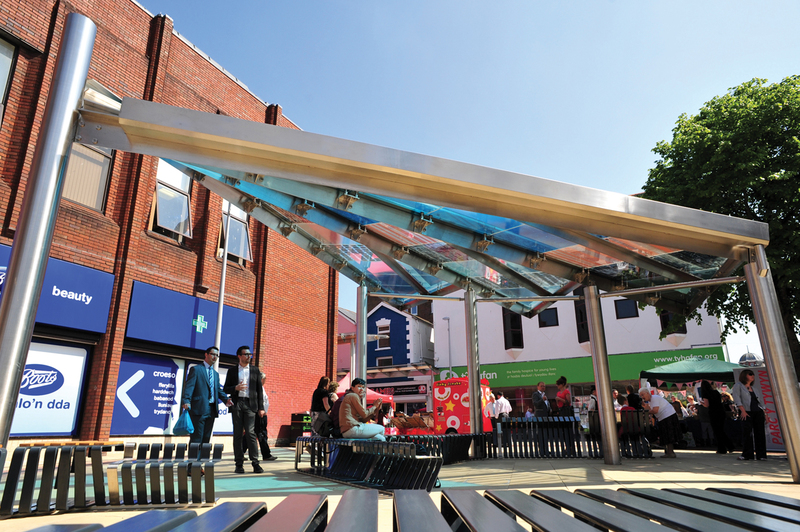 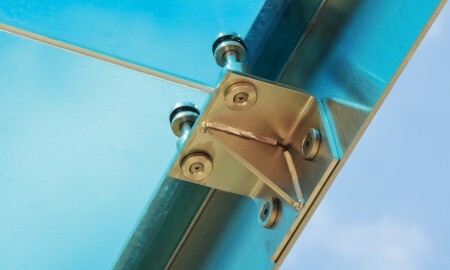 Following an invitation to tender, Broxap was commissioned to supply and install the Town Centre feature canopy. 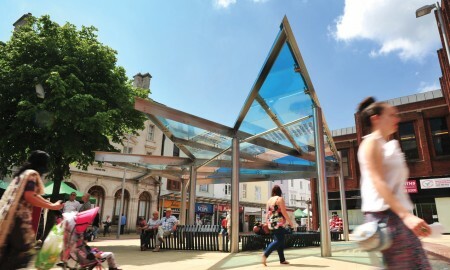 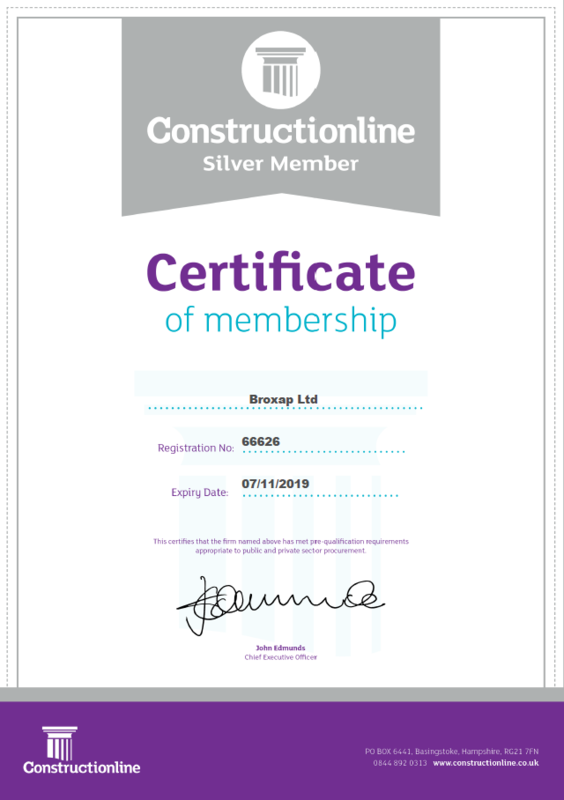 Described by Carmarthenshire County Council as “giant stainless steel and glass umbrella” Broxap engineered the canopy to ensure that the structural criteria was satisfied, whilst preserving the original Architectural and monumental-esque aspirations. 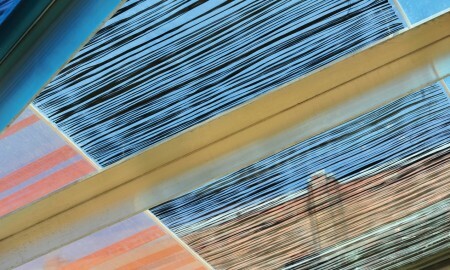 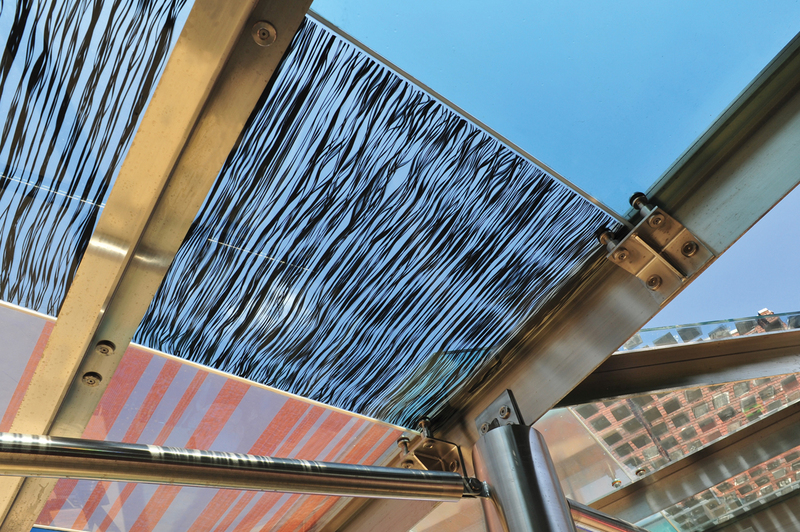 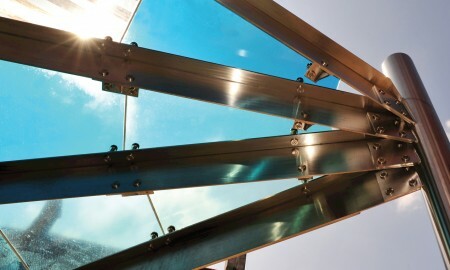 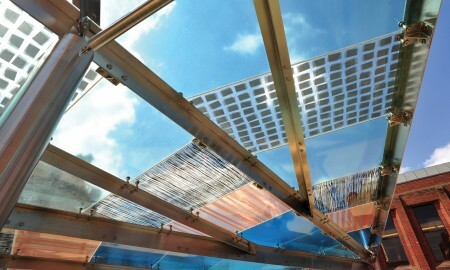 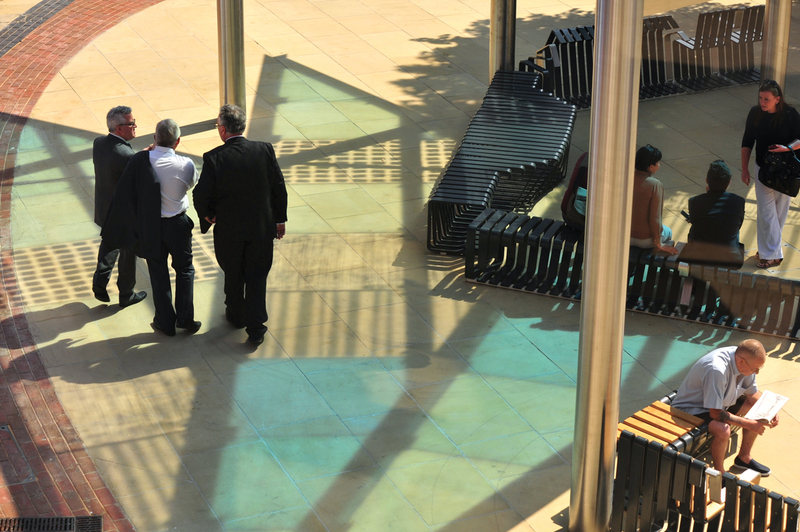 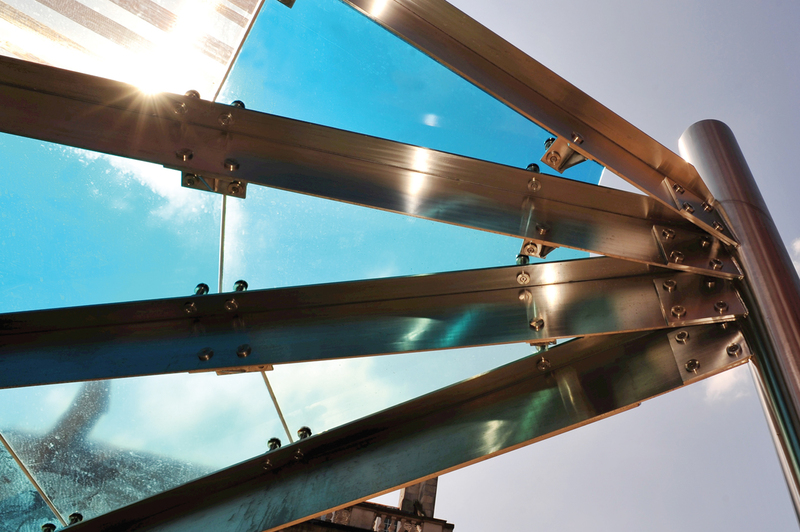 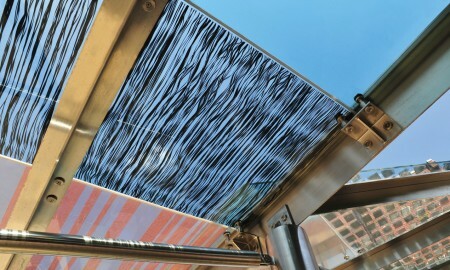 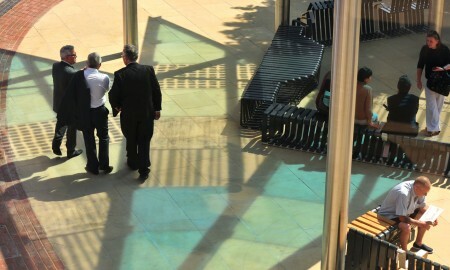 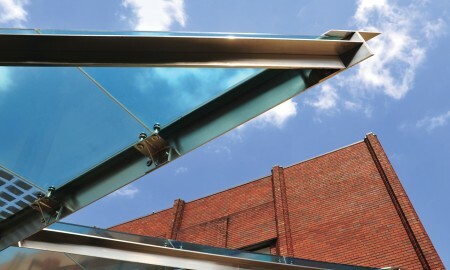 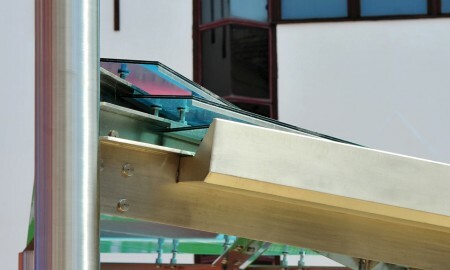 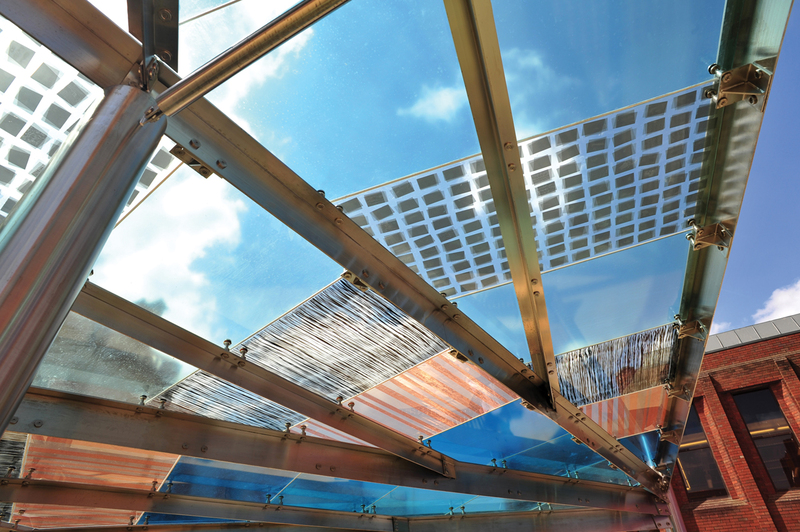 The glass roof features artwork by local artist Laura Thomas. 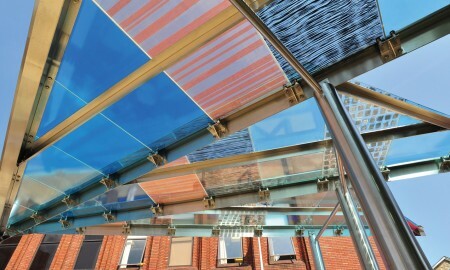 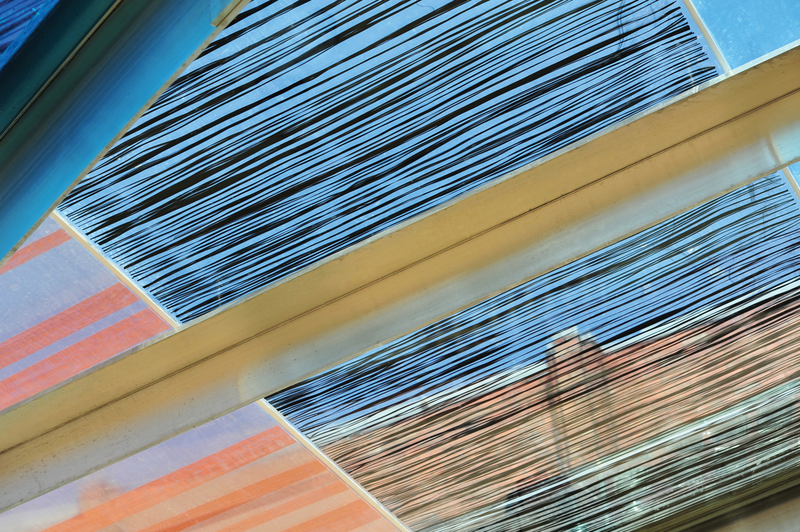 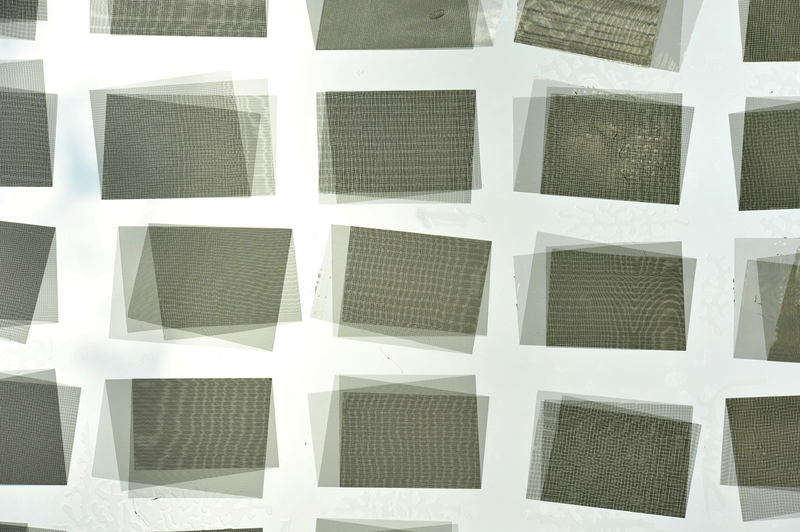 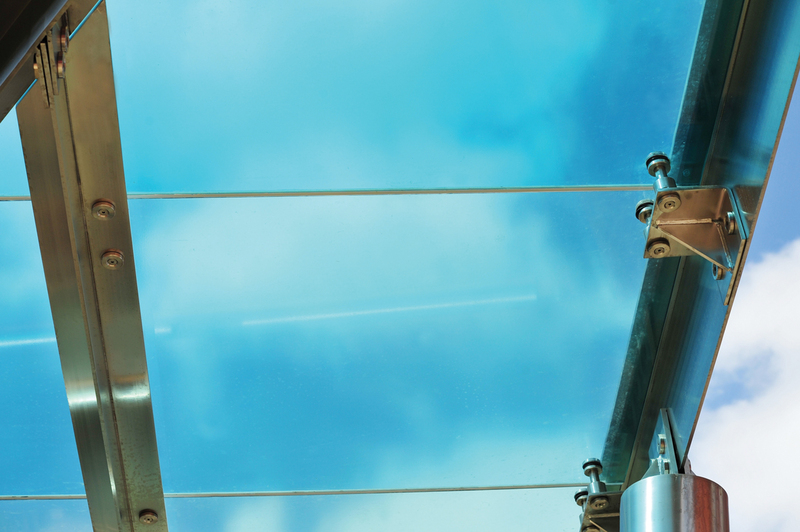 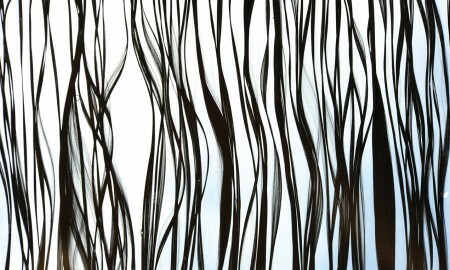 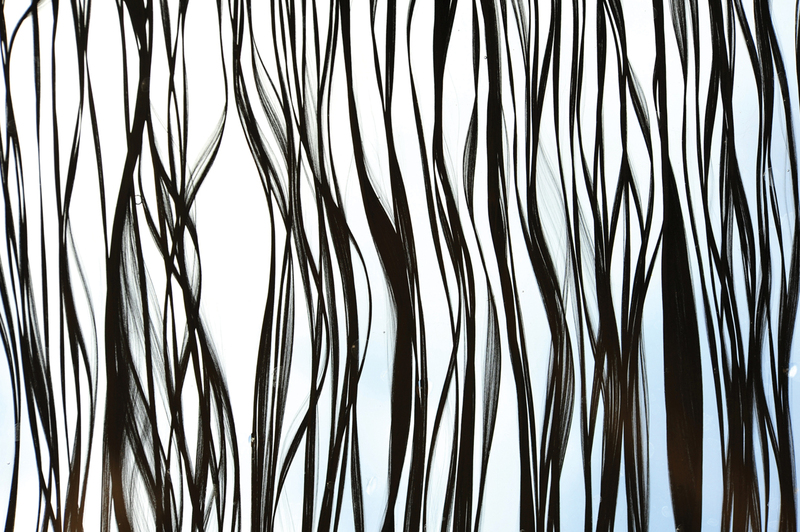 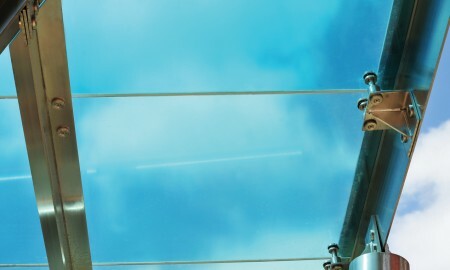 Laura applied materials and colours to each pane to give a distinctive visual effect. 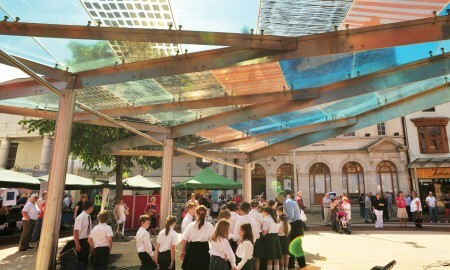 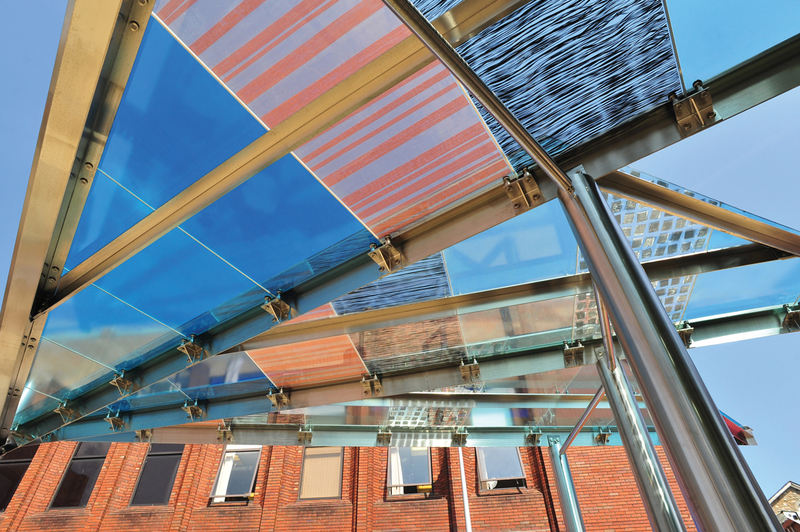 Using colour, steel mesh, carbon-fibres and folded copper strips cast within the sheets of toughened laminated glass, each panel was positioned to give an overall effect of industrial progression of the historic town. 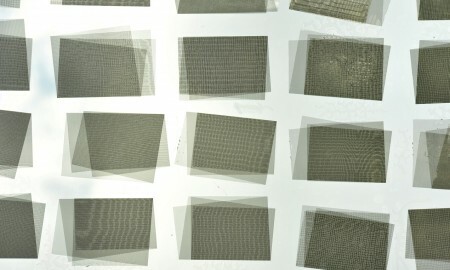 See Laura’s blog about this project here. 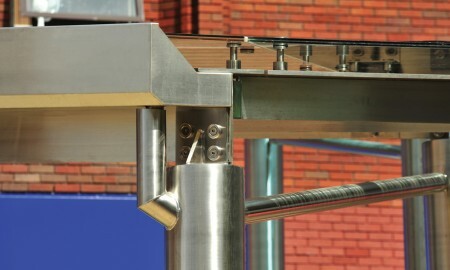 This unique centre-piece was installed on time, within budget, right first-time using various plant and cranes throughout. 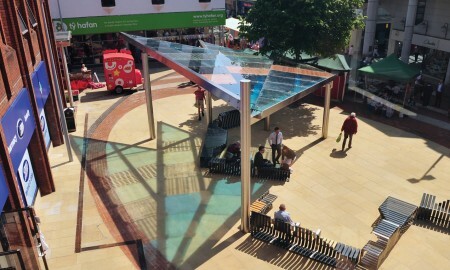 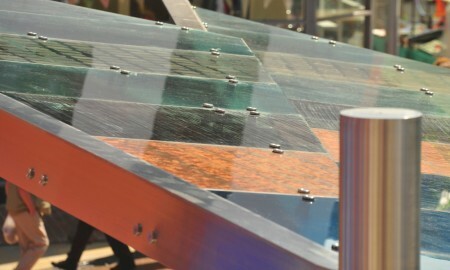 A time lapse video was taken showing construction from start to finish.